Plant trees for Earth Day! 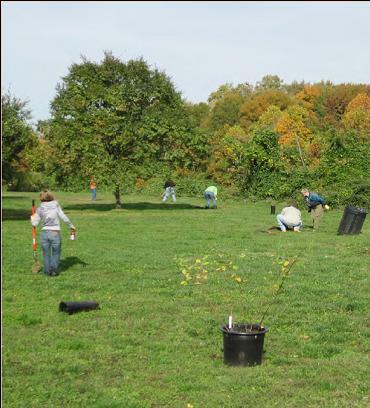 TreeSteward Bonnie Petry is coordinating volunteers to plant trees and clean up her community park in partnership with The Holmes Run Park Committee, Alice Ferguson Foundation and the City of Alexandria. Work starts at 9:00 AM and goes through 2:00 PM. Wear your old work boots or sneakers, long pants, long sleeve shirt and work gloves! 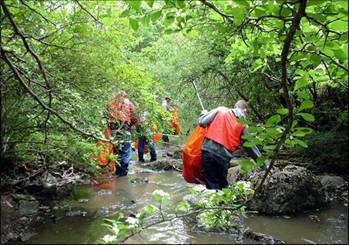 Prepare for Earth Day by making the park safe for its native trees and plants. To register and for directions, contact Bonnie Petry at wpmbat92@yahoo.com or Elizabeth Wright at eliz.wright@alumni.umw.edu. Wear your old clothes and boots! This entry was posted in Community Service and tagged volunteer opportunity. Bookmark the permalink.